Google on Tuesday announced its cloud-based game streaming service called Google Stadia. The new Stadia service is said to change the traditional gameplay methods of consoles and PCs. The Stadia what it has been touted so far will allow everyone easy access to play games on any devices including Smartphones, TVs, even on Google Chrome on YouTube. Google Stadia official twitter account is sharing more details on how the new service will work and in addition to this, Stadia Twitter account have now shared the first demo clip showing off how the Google Stadia Instant Access to Play Games on YouTube Actually works. The Stadia technology sounds really great in the demo video. The Video shows that anyone watching a gameplay video of any game on YouTube will instantly be able to play that game. The demo shows that while watching a game trailer i.e. 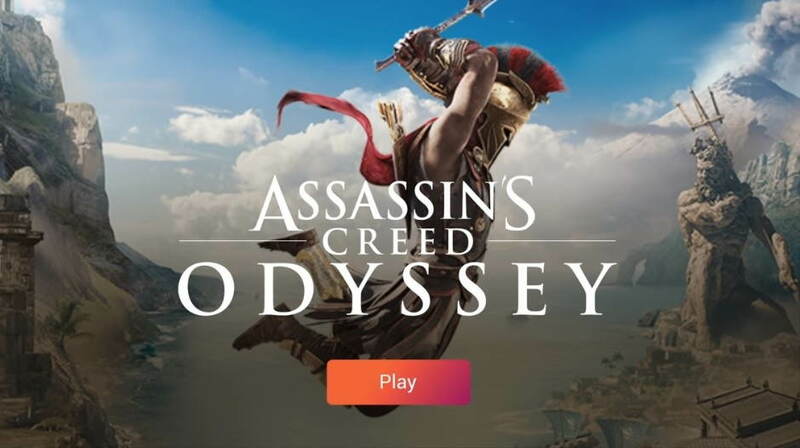 Assigns Creed Odyssey, users will be presented a Play Now button at the end of a video, and by simply clicking that button the player will be brought directly into that game in a browser. The demo shows that this process will be as quick as five seconds. We are not yet sure about how this new Stadia service will work on YouTube and other devices. However, Stadia has now confirmed that the new gaming service from Google will not be free. But how much the Stadia service will cost it isn’t yet revealed. What are your thoughts on the newly announced Google Stadia gaming service? Do let me know in the comments section down below.